The structure of the LFPA has recently changed and we are looking for new members to fulfil a number of roles including; Charity trustees, event planning committee members, casual volunteers and helpers. If you have a few hours a month you could spare or even just an odd afternoon a few times a year we'd love to hear from you. 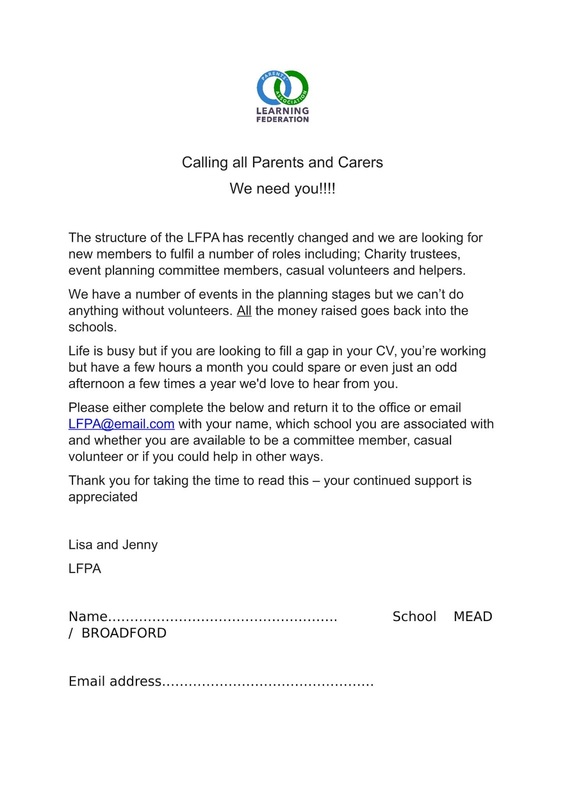 Please complete the form and return it to the office or email LFPA@email.com with your name, which school you are associated with and whether you are available to be a committee member, casual volunteer or if you could help in other ways. Your continued support is as always much appreciated.